The secret of success is not in doing your own work, but in recognising the right person to do it. One of the most crucial and challenging tasks for managers and supervisors is to apportion the work among the employees they manage and supervise. A lot of managers and supervisors frequently complain that they have too much to do and too little time in which to do it. Unchecked, this feeling leads to stress and ineffectiveness. In many cases, executives could greatly reduce their stress by practicing a critical management skill – delegation. Delegation is the assignment of authority to another person to carry out the specific job-related activities. It allows a subordinate to make decisions; that is, it is a shift of decision-making authority from one organisational level to another lower one. Delegation should not be confused with participation. In participative decision making, there is a sharing of authority; with delegation, subordinates make decisions on their own. 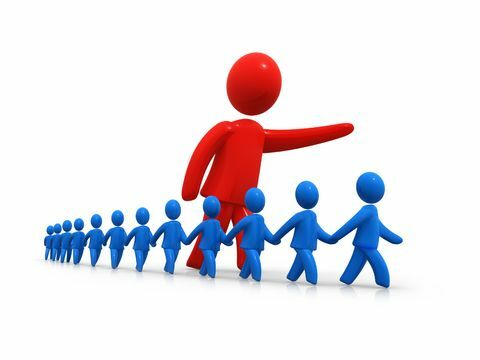 Effective delegation pushes authority down vertically through the ranks of an organisation. Mastering the art of delegation makes you a professional manager; it is an effective means of developing your employees, and a key to the organizational prosperity. – Responsibility refers to the assignment itself and the intended results. That means setting clear expectations. It also means that you should avoid prescribing the employee HOW the assignment should be completed. – Authority refers to the appropriate power given to the individual or group including the right to act and make decisions. It is very important to communicate boundaries and criteria such as budgetary considerations. – Accountability refers to the fact that the relevant individual must ‘ answer ’ for his/her/their actions and decisions along with the rewards or penalties that accompany those actions or decisions. • Reduces stress and makes you look good. A score between 41 and 50 suggests you are on target. A score between 31 and 40 indicates you are just getting by but could improve. Anything below 40 means you immediately need to make changes in your delegation skills. • What if the other person messes up the task; I am still accountable. • If someone else can do my job, maybe I won’t be needed anymore. • I am the manager; I am supposed to have full control over everything. • I’m comfortable doing the job I’ve been doing for a long time. If I give that up, then I have to concentrate on the responsibilities of my new job which I am not comfortable with. Be honest with yourself. What are the REAL reasons you don’t delegate as much as you should ? • They received no reward or recognition in the past for a job well done. • They may fear criticism from the manager if they don’t do things exactly as he expects. Study this list, and think of some other reasons. Then ask yourself if you have in any way contributed to employee resistance. If you have checked one or two of the above statements, you should look very carefully at your delegation practices …… and emphatically ask yourself why these conditions exist in your department / organisation. 1. The very first step in delegating the task is to identify what should and should not be delegated. • Making day-to-day minor decisions. • Minor staffing problems such as scheduling, shift change etc. • Anything your employees are expected to do when you are not there. • Routine clerical duties ( e.g. ; filing, counting, sorting, routine reports ). • Morale and off-job problems. • A job no one else in the department is qualified to do. • Personnel issue such as hiring, firing, or disciplinary matters. • Assignments from your boss that he expects you to do personally. • An emergency or short-term task where there is not time to explain. 2. The next step is to select the appropriate delegatee. Think about the delegatees personality as well as his skills. This is an important consideration when presenting the assignment to the chosen person. Some people may want and need a great deal of detail and explanation; others respond better to a simple statement of expectations and guidelines, then want to be left alone. 1. Determine what you are going to delegate. Then take the time to plan how you are going to present the assignment, including your requirements, parameters, authority level, checkpoints and expectations. It is a good idea to write down these items and give a copy to your delegatee in order to minimize miscommunication. 2. Choose the right person. Assess the skills and the experience of your employees as objectively as possible. Don’t be too quick to choose the person who you always know you can depend on. 3. Give an overview of the assignment including the importance of the assignment and why you have chosen the employee for the job. 4. Describe the new responsibility in detail, outlining sub-tasks, defining any necessary parameters, and setting performance standards. Make sure the employee understands his/her level or degree of authority. Let the employee know who he/she can turn to for help as well as other available resources. By the way, make sure that you notify those affected by the delegatees power. 5. Solicit questions, reactions, and suggestions. At this point you may want to ask the employee what approach he/she might take. 6. Listen to the employee’s comments and respond empathetically. This step helps to get employee “buy-in” and will also help you determine if the employee does indeed understand what is expected of him/her. 7. Ask the employee for commitment and offer help or some type of back-up assistance. An employee who already feels overwhelmed may worry about completing the assignments already on his/her plate. It is your responsibility to help establish priorities and relieve some of the pressure by getting someone else to share some of the delegatees routine tasks for the duration of the assignment. 8. Be encouraging. Express confidence in the employee’s ability to successfully handle the new responsibility. 9. Establish checkpoints, deadlines, and ways to monitor progress. The entire discussion should be a collaborative process. You should strive for mutual agreement. 10. Keep in contact with the employee and observe the checkpoints the two of you agreed to. However, don’t hover. Remember, delegating means letting go. 11. Recognize and reward the person for his/her successful completion of the assignment. 1. Reverse or upward delegation. Sometimes employees feel they don’t know how to do what they were delegated. In this situation, you may find them coming back and asking you what to do. Many managers fall into the trap by taking the assignment back. To avoid this situation, called the reverse delegation, make the employee think and solve the problem for himself. This is the perfect opportunity to practice coaching skills. Begin by asking the employee various open-ended questions to find out what has already been done and what the person thinks should be the next step. Offer help and support, but don’t take back an assignment that you have delegated to someone else. 2. Dumping. You may think you are doing an excellent job by delegating an assignment to one of your employees and may wonder why the individual is not excited about the opportunity. The only reason in this case is most probably the poor communication. It is easy to assume that the employee knows and understands your motivation, but often the employee perceives that he is being “dumped on,” that is, taken advantage of. To prevent this from happening, take special care to explain the benefit to the employee. Remember to point out the WIIFT – What’s In It For Them. 3. Grabbing the glory. Some managers seem to overlook the importance of giving credit where credit is due, and take credit for the delegatees’ hard work. Make sure that you give the appropriate recognition and then quietly appreciate yourself for being a great delegator. ill be printing this out. it was very reassuring to read some of the lines here as well as helpful in changing a few points in my own process that i have been having trouble with. ive built my business from the ground up, and it is because of information like this that i continue my success. thank you! You are so right on when it comes to delegation. Delegation is all about working ‘smart’ as opposed to working ‘hard’. If you want my opinion of what real leadership is – especially in a business environment – leadership is not only about being consistent in your demonstration of what ‘good’ looks like, but it’s all about finding ways to further increase the return you are able to receive on what you are investing in your people while you are working together with them on a daily basis to get the job done on behalf of the customer or client. Leadership involves discovering new and more effective ways to create even greater opportunities for growth and success on the part of each one of your people, your team as a whole, your company, and also your customers. Leadership is all about you being in the driver’s seat when it comes to you ‘being’ and ‘doing’ whatever it takes to insure the success of anyone and everyone who has a vested interest in your organization’s success. Leadership is of no value unless it produces measurable results while developing people in the process – and that’s where the development of effective, growth-oriented delegation strategies come in to play! This is a really good write up on delegation. You may like to check into more information about Virtual Assistant’s (VA’s) and how they might be able to assist. Many Virtual Assistant’s bring many years experience to the table and with it offer a sound knowledge of effective delegation of work. They can therefore offer some guidance when it comes to delegating work to them. You might like to check out http://www.vanetworking.com/what-is-a-va.htm for more information on who we are and what we are about. Many VA’s offer to you an area in which they specialise; a market niche. For high quality Virtual Assistant’s check out VA Networking Organisations such as http://www.vanetworking.com/ and http://www.vadirectory.net/. If you would like to find a Virtual Assistant who is ideal for you and your business then click on the link for Clients – and submit your Request For a Proposal (RFP). And there are plenty more places where quality Virtual Assistant’s meet – type in your search engine ‘virtual assistant networks’. In the hope that this might help you in building your business, in becoming more organised, more experienced in the area of delegation and less stressed! This is a good article on delegation. Am winding up my BAeD, hoping that this will work a lot. like me, still studying while working and broaden my scope of knowledge. It makes sense after re enforcing what you were able to accomplish before hand, it is somewhat confusing to others but regardless, I am giving the dues to the author. I think it gives motivation to get in focus. Keep up the good work. I understand for the above article that main focus of the article on managemet.Of course its the duty of the manager to choose the person that do work as the manager wants.Because this this is the main responibilty of the manager that manage his team quiet effectivelly and productivelly. Thanks for sharing the above information. This article is very informative. I asked one question and found answers to related questions. I did not have to look any further for the answers I found them all right here. I loved it; and it save time. Thank you very much for your post. Is very good for me especially because I am writing my master thesis on this topic. Could maybe somebody help me with some updated references on the topic? I am doing chartered accountancy . your article gave me a new dimension of delegation with its multiple strategic repurcussions . hats off !!!!!!!!!!!!!!!!! i am a student at MASENO UNIVERSITY. this article has been of great help to me more so at this time of examinations. I am taking barchelor of business administration and am proud of you. BRAVOOO. THIS IS A WONDERFUL ARTICLE AND INFOMATIVE. WELL DODE! Have faith that subordinates have the talent to do a good job set a deadline and standard of quality but do not aim for perfection provide employees all the information they need to do the job well.Remember to praise employees Routinely delegate work; to avoid a crisis do not wait until the last minute to delegate. Provide assistance to employees so they can finish the assigned task as expected.